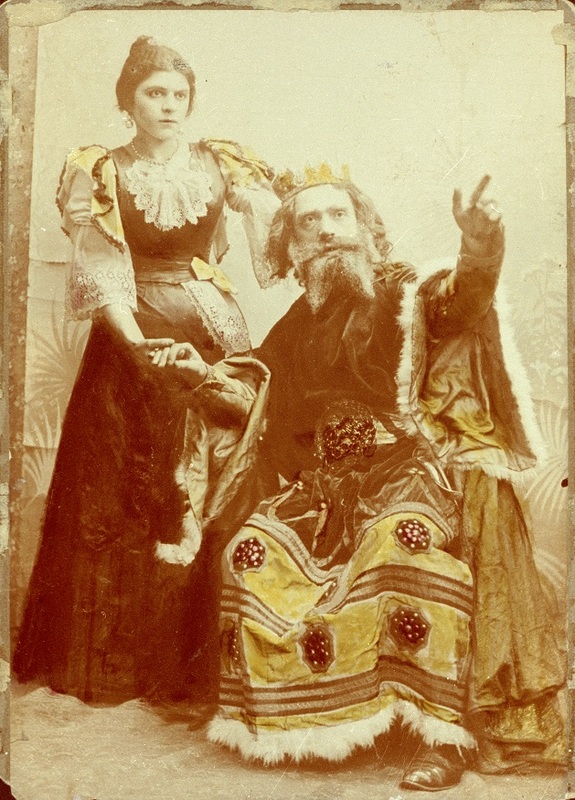 Benjamin Fishzon as David Moishele, and Jenny Kaiser, as his youngest daughter Teibele, in Jacob Gordin's The Jewish King Lear. Photo courtesy of Jewish Museum London. A century ago, London’s East End was famous for its Yiddish theatre scene, though that legacy is largely forgotten today. Theatre producer Ashleigh Wheeler investigates some of the old haunts, and finds out what’s happened to those once-famous venues. The early years of the 20th century saw a huge influx of immigrants setting up shop across London’s bustling East End. From Whitechapel to Bethnal Green to Stepney and beyond, it was a hotchpotch of culture, art and commerce. A large proportion of these new arrivals were Jewish and Eastern European, forced to move to Britain in search of peace and prosperity following Russian pogroms and bouts of anti-Semitism on the continent. Many spoke Yiddish, a characterful language which has lent the English lexicon words such as schlep, klutz, chutzpah. But while industry thrived along Commercial Road and family businesses were set up to secure the fortunes of future generations, it wasn’t all work and no play for London’s growing Jewish population. There was an explosion of Yiddish theatre with plays ranging from provocative and political new writing, to folkloric tales about man’s relationship with God, and also Yiddish translations of classics including Shakespeare. These plays were put on in London’s growing network of Yiddish theatres, which could draw huge crowds of people, queuing for hours in all weathers, desperate for a spot on a cramped bench in the auditorium. The Grand Palais. Photo courtesy of The Grand Palais Collection, in memory of HI Greenby, Jewish Museum London. This theatre on Commercial Road was one of the longest-surviving Yiddish theatres in the East End, staying open until 1970 when it would still produce Yiddish plays on occasion. It was best known for a six-month run of The King of Lampedusa by SJ Harendorf — the longest run of any Yiddish drama in London. The play was based on the true story of RAF flight-sergeant Sydney Cohen, a clothes-maker from Clapton whose forced landing on the island of Lampedusa caused the Italian garrison to surrender, and earned him the nickname, the 'King of Lampedusa'. If you walk down Commercial Road these days, you might just spot the original ornamental hood above the old doorframe. Sadly, everything else is gutted and gone. This was the first purpose-built Yiddish theatre in London, opening in 1886. It was started by a Mr Smith who, perhaps surprisingly, was a butcher by trade. He built the theatre to showcase the talents of the Odessa-born actor Jacob Adler, who went on to build a name in New York’s Yiddish theatre scene. The Hebrew Dramatic Club was a veritable hotbed of activity, open every night from 5pm until 1am, where audience members could enjoy concerts, dances and games like chess and draughts as well as the plays and performances. Nowadays, beady-eyed visitors to Princelet Street, just off bustling Brick Lane, may spot a special coal-hole in the ground, whose viola engraving commemorates the spot of this Yiddish landmark. The Pavilion Theatre. Photo courtesy of Jewish Museum London. 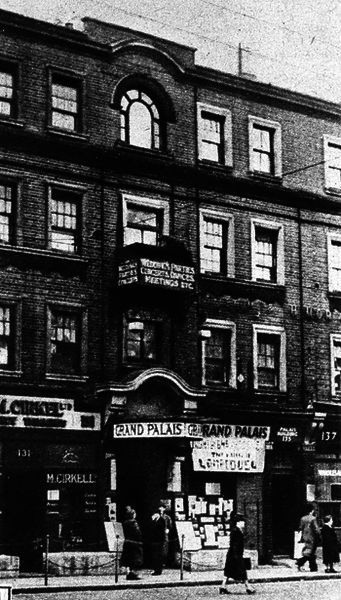 This Whitechapel venue, now sadly demolished, was one of the city’s biggest and busiest Yiddish theatres, remaining popular up until the mid-1930s. It was run by four actor-managers: Sigmund Feinman, Maurice Moscovitch, Joseph Kessler and Fanny Waxman. 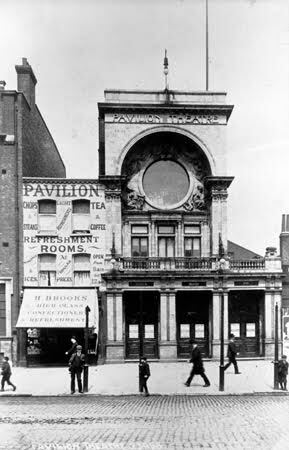 With a wide programme of work and a towering profile on the Whitechapel Road, the Pavilion was for many years the darling of the Yiddish theatre scene. And its patrons weren’t quiet in their appreciation during the shows, either; Pavilion-goer Cyril Spector says: "Everyone overacted like mad. The more hammy the performance, the more rapturous the applause." And when audience members weren’t applauding, they were heckling or explaining what was happening to their neighbour — or even, for the most popular plays, shouting out the lines if the actors forgot them. Yiddish theatre was a popular and populist genre in which the fourth wall didn’t exist and anything was fair game. Ashleigh Wheeler produces Treasure by David Pinski, a classic of Yiddish theatre from 1910 being performed for the first time in the UK. The show runs 20 October-14 November at the Finborough Theatre with a post-show discussion on 29 October. There is also an interesting online exhibition by the Jewish Museum all about Yiddish Theatre In London. For more on London’s lost theatres try this article.